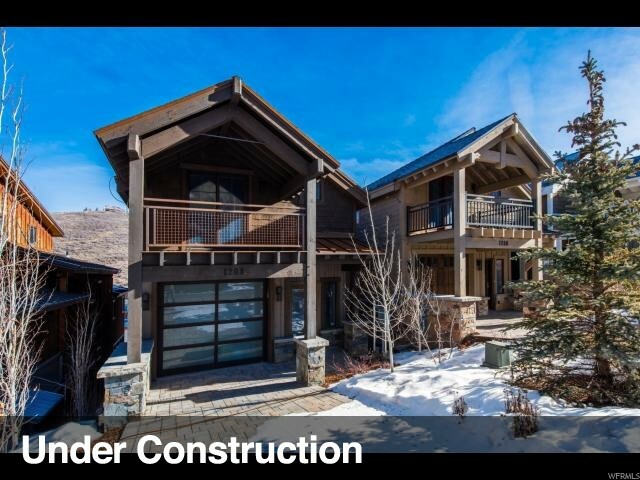 All NIRVANA homes currently listed for sale in Park City as of 04/19/2019 are shown below. You can change the search criteria at any time by pressing the 'Change Search' button below. "Nirvana is a brand new home ownership opportunity with an unequaled culmination of vision and quality craftsmanship located within walking distance of the most premier ski resort in North America. Nirvana is located in a cherished area of Old Town Park City within walking distance to world class dining and shopping. Deer Valley Resort is also a short bus ride away. In the summer there are boundless opportunities with biking, hiking, golfing, ballooning, boating, fishing, and enjoying everything that is classic Park City. Two exceptional homes have now been completed and two are scheduled for completion in the Spring of 2018. This is truly an extraordinary opportunity to be part of an historic town. Lane Myers Construction has built many homes throughout Utah. With each build, Lane has assessed the strengths, weaknesses, and potential. Always a good outcome."